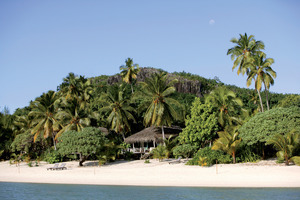 Uncover a veritable paradise with a dream Cook Islands holiday spent at the sublime Pacific Resort Aitutaki. 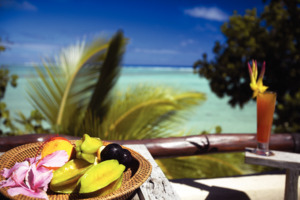 Located overlooking the famed Aitutaki Lagoon, Pacific Resort Aitutaki represents the ideal choice for a romantic holiday or a honeymoon with its splendid scenery, luxuriously-appointed suites and bungalows and charming touches that will leave you positively spellbound. 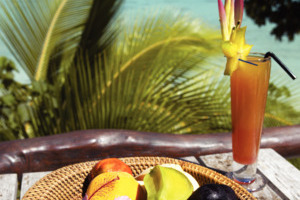 A resort inspired by its pristine environment, Pacific Resort Aitutaki offers an array of excellent amenities, including the Tiare Spa and a beachfront swimming pool, plus the comprehensive Rapae Bay Restaurant. 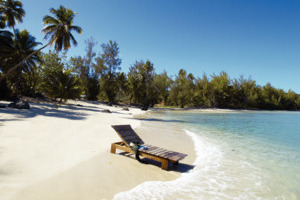 Discover a land of pure paradise with a stay at the Pacific Resort Aitutaki, a sublime choice for an intimate and relaxing holiday to the Cook Islands. 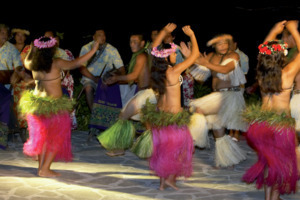 From the moment you arrive and are greeted with a flower garland and a chilled coconut beverage, Pacific Resort Aitutaki endeavours to make your stay a memorable one beyond the incredible scenery and vistas across the world-famous Aitutaki Lagoon. Revel in the majesty of your refined beachfront accommodation, where bungalows and suites offer stunning views towards the lagoon and feature authentic Polynesian architectural hints. 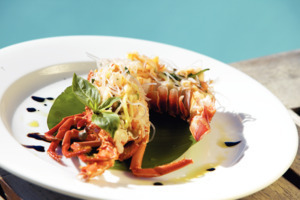 Better still, take advantage of the excellent facilities, which include a beachfront swimming pool, the lavish Tiare Spa and numerous watersports options, while the Rapae Bay Restaurant serves a delicious array of culinary delights, including fresh seafood. The Premium Beachfront Bungalow at Pacific Resort Aitutaki offers 62sqm of accommodation space and enjoys a privileged position on the edge of the beach. 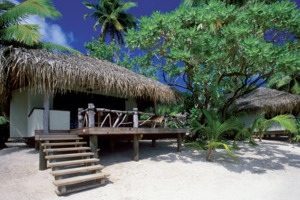 The Bungalow is distinguished by its blend of timber furnishings and overlooks Aitutaki’s sparkling lagoon. 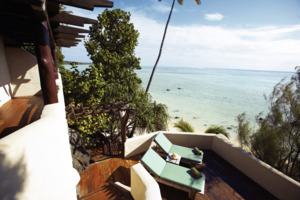 The Ultimate Beachfront Suite at Pacific Resort Aitutaki offers 88sqm of accommodation space and is tucked into tropical flower gardens alongside the white sand beach, overlooking the peaceful lagoon. The Ultimate Beachfront Bungalow One Bedroom at Pacific Resort Aitutaki comprises of a separate bedroom and living room area, decorated in authentic Polynesian style. The Ultimate Beachfront Bungalow Two Bedroom at Pacific Resort Aitutaki features two separate bedrooms, with a lounge area, making it ideal for families or larger groups. 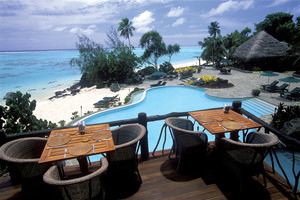 Better still, the Bungalow overlooks the famous lagoon of Aitutaki for fabulous views. 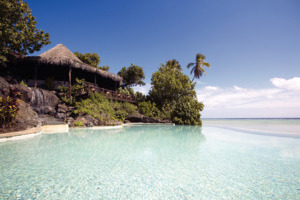 The Ultimate Beachfront Villa at Pacific Resort Aitutaki offers 125sqm of accommodation space and is specially located on a spectacular black volcanic rock, with your own personal staircase leading to the stunning beach below. 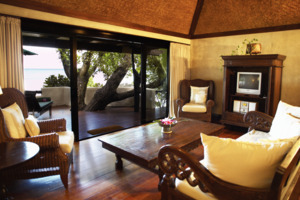 All Villas feature a separate bedroom and living room area.